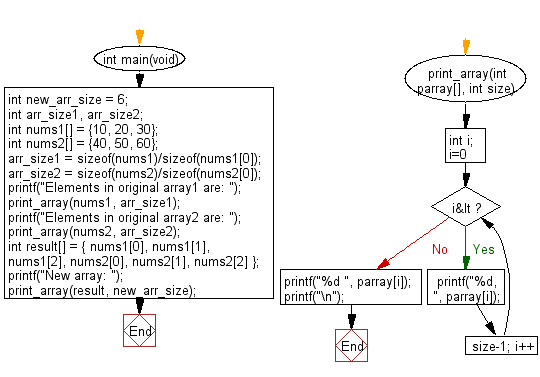 Write a C program to create a new array from two give array of integers, each length 3. Previous: Write a C program to create an array taking two middle elements from a given array of integers of length even. Next: Write a C program to create a new array swapping the first and last elements of a given array of integers and length will be least 1.